Bharwan Bhindi is famous for its lightness. This recipe requires very less oil and can be cooked in very less time. All you need to is make a paste of spices and stuff the okras with it. 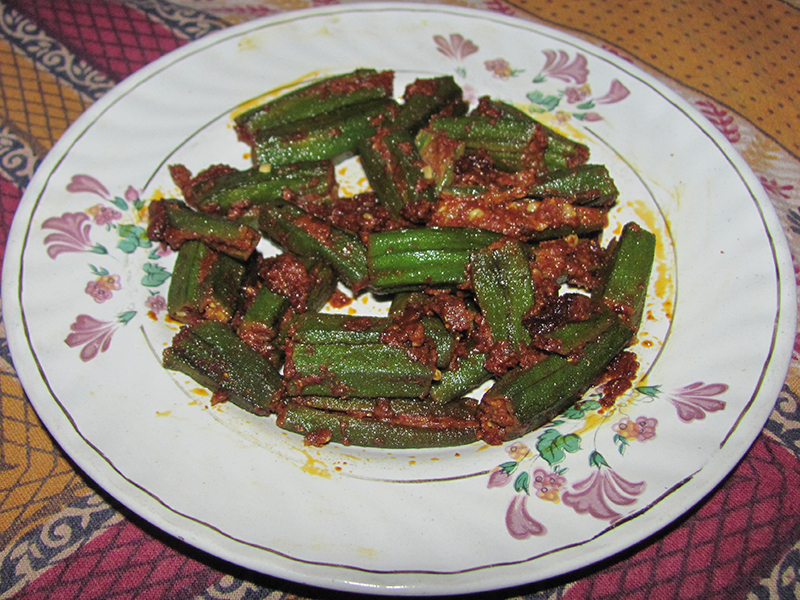 The okra soaks up all the spices and makes it a very delicious recipe. Cut the okra into 2 pieces down the middle. Slit each piece lengthwise to make a pocket. 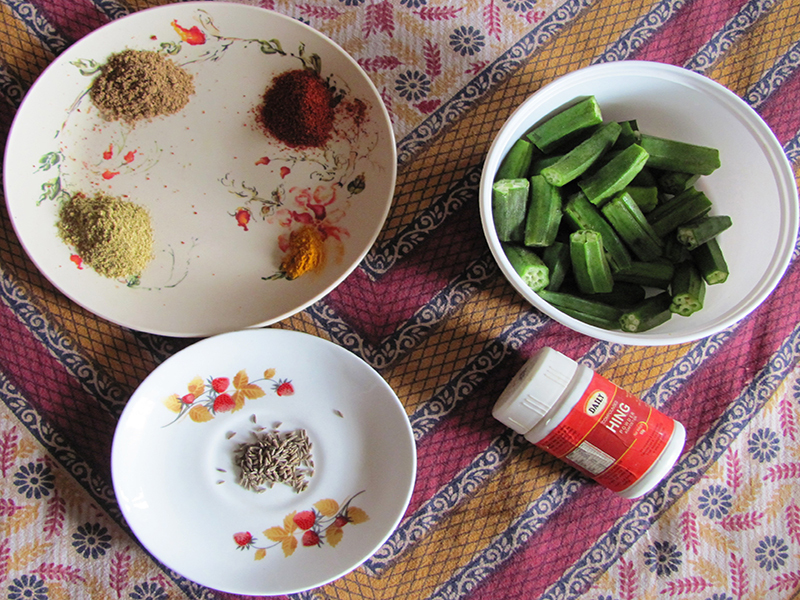 Stuff each small piece of okra with the spice mixture and keep aside. In a wok heat the remaining 3 tbsp oil and add the cumin seeds to it. As soon as it starts to crackle add the pinch of asafoetida and add the stuffed okras. Mix light and cook it covered. Keep stirring it every minute. The the mixture starts to stick to the bottom of the wok, sprinkle little water. Do not over stir as this may turn the okra all mushy. Cook covered for about 6 minutes or till the okras are cooked through. Serve hot.